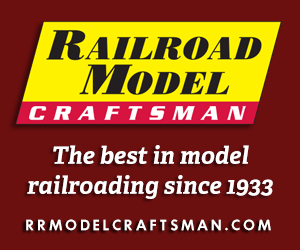 Th is Santa Fe train set was a prominent feature of Lionel’s return to HO-scale model railroading in 1974. The red-and-silver Santa Fe Warbonnet livery, always a favorite for train sets, receives exposure twice on the cover of Lionel-HO’s 1974 catalog re-introducing the manufacturer back into the 1/87th scale market segment. The Santa Fe (No. 5-1483) included an FA-1 diesel locomotive and caboose decorated for the famous railroad. The rolling stock provided a flatcar with I-beam load, CP Rail boxcar, and Chessie System gondola. A circle of track with snap-in re-railer and power pack completed this Lionel offering. The set returns with no changes for Lionel’s 1975 catalog. For its 1974 and 1975 appearances, you’ll note the truck sideframes are AAR Type-B, which would be accurate for an Alco FA-1. Production models rode on Blomberg truck sideframes. A revised version of The Santa Fe (No. 5-2680) appears in Lionel-HO’s 1976 product catalog. This second edition of this train set includes a blue-and-sliver Warbonnet Santa Fe FA-1 with two freight cars, caboose, circle of track with snap-in re-railer, and power pack. The cars included were a Union Pacific boxcar with the road’s “We Can Handle It” slogan and an Armour Yellow Union Pacific flatcar with stakes. 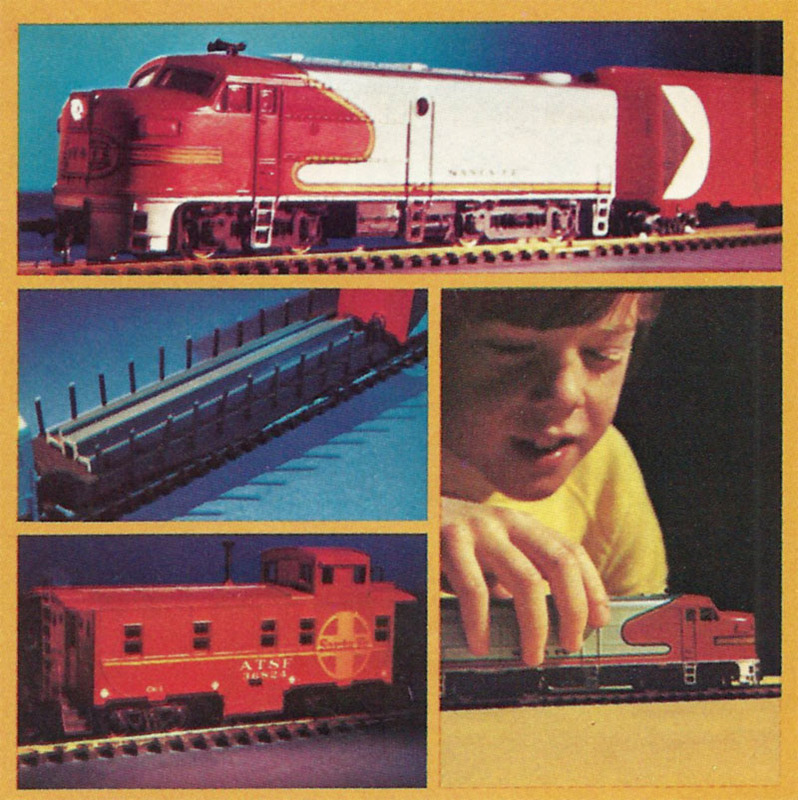 An illustration serves in the 1976 catalog with smaller images, arranged around the drawing of the set, showing the actual models and Lionel’s packaging for the train set. The same set with blue-and-silver Santa Fe FA-1 returns for Lionel-HO’s 1977 product catalog.